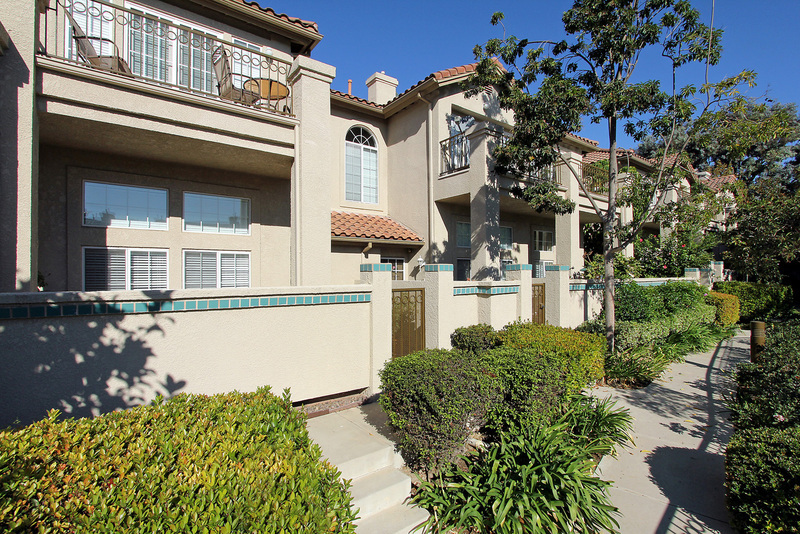 Lovely tri-level townhome in the beautiful Fair Oaks neighborhood. Built in 1992, this move-in ready, 2 bedroom and 2.5 bath home shows a great design and layout with over 1,400 sq. feet. Enter through the peaceful courtyard to the spacious living room with cathedral ceilings and cozy fireplace. Step upstairs to the formal dining room, office and kitchen featuring granite counters, stainless steel appliances, built-in microwave and breakfast bar. The master suite is complete with vaulted ceilings, a master bath with soaking tub and shower, dual vanity sinks, walk-in closet plus a private balcony overlooking the sparkling community pool and spa area. Direct access 2-car garage is attached. Very convenient location close to shopping, restaurants and entertainment! Call to see this lovely home today!